In 2010, the African Union (AU) took a bold initiative on that year’s International Day for Rural Women to officially launch the African Women’s Decade (AWD), an initiative to advance gender equality through the acceleration and implementation of global and regional commitments on gender equality and women empowerment. The idea of a Women Decade was first conceived in 1975 by the United Nations at the First World conference on Women held in Mexico City with the aim of promoting gender equality. The decade will be implemented between 2010 -2020 with reviews in 2015 and 2020. The initiative was established on the basis of ten thematic areas that will be treated at the local, national, regional and continental levels. The ten areas are: fighting poverty and promoting economic empowerment of women and entrepreneurship; agricultural and food security; health, maternal mortality and HIV and Aids; education, science and technology; environment, climate change and sustainable development; peace, security and violence against women; governance and legal protection; finance and gender budgeting; women in decision-making positions; and the promotion of young women’s movements. However the question remains: How successful has this platform been since it’s launch in 2010? Four African women leaders were asked to share their thoughts on the progress so far achieved with the AWD and what more can be done to achieve greater success upon evaluation at the end of the project. According to Rainatou Sow, the Founder & Executive Director of Make Every Woman Count (MEWC), the program has so far proved promising for the African woman status within public bodies. “Women are breaking the political glass ceiling in many countries and finding their way in roles traditionally occupied by men,” said the founder of MEWC; a young women-led organisation committed to actively advocating for the empowerment and rights of women and girls and to raise awareness for the initiative. Quoting a 2012 data from the Inter- Parliamentary Union, Ms Sow said women now occupy 20.2 percent of parliamentary seats in Sub-Saharan Africa. This is slightly higher than the world average of 19.5 percent. 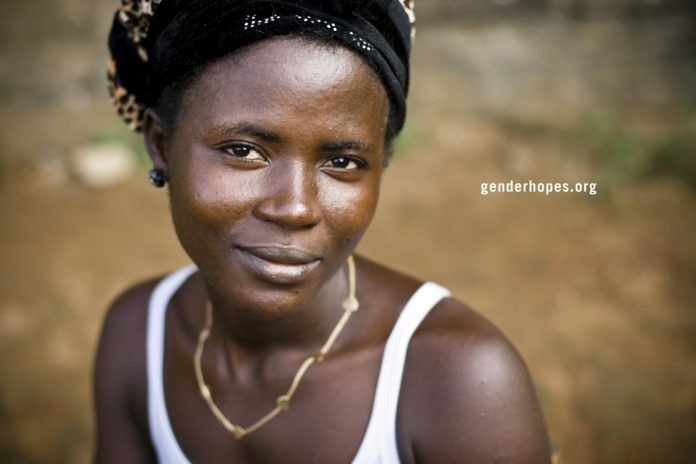 “There have been some encouraging progresses regarding gender equality in Africa recently. Some states have made considerable advancements in protecting women from sexual violence and encouraging women to participate in decision-making. In some countries, the presence of women in parliament has made a difference in the adoption of gender-sensitive policies. Because of pressure from women, some countries now have affirmative action policies, such as quotas, to increase the number of women in decision-making positions,” she explained. Celena Green, Director of Vital Voices in Africa Region, confirms Sow’s assertion. She believes the African woman has certainly found her voice during this decade, but says more can be done to ensure that she has equal credibility in being heard. However, despite the progress that has been made on the African continent in terms of legislation, the reality in implementation remains a huge disappointment. “We got the first women president on the continent in the name of Johnson Sirleaf. However the short stint of the former president of Malawi and the opposition she received from fellow women is an indicator that we need to invest in capacity building for women and men to understand the value of women leadership,” Osimbo Lichuma, a lawyer by profession and a former practicing advocate of the high court of Kenya explained. Veteran banker and the founding Managing Director of Tanzania Women’s Bank – the first women’s bank in Africa, Mrs Margareth Chacha, also speaks from the perception of women participation in agriculture, especially in Tanzania. MEWC founder, Rainatou Sow however urged all actors, both public and private, to ensure that women’s rights matter and that laws passed actually have an impact on the lives of the people. “For the goals of the AWD to be realized, we need education! Education and Education,” Osimbo Lichuma concludes.